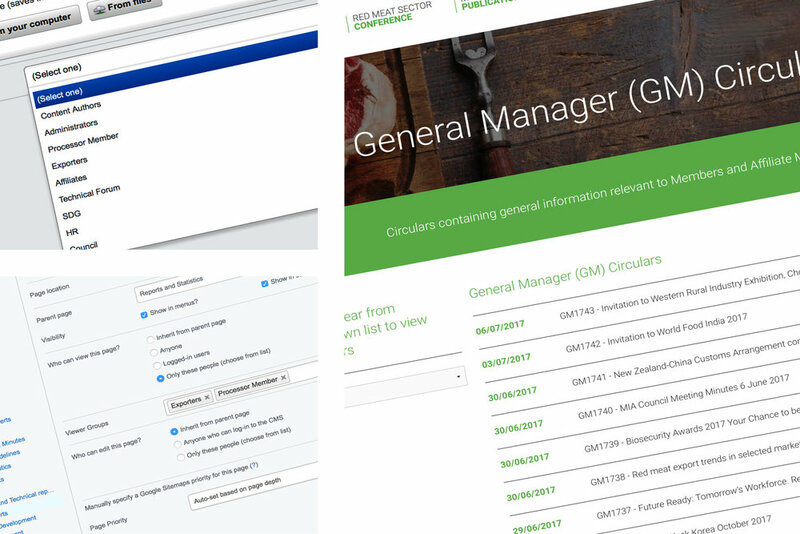 As the voluntary trade association for New Zealand's red meat processors, marketers and exporters their website was initially looking more like an intranet with lists of downloadable links. We redesigned the site so that it was a lot more visual and inviting and included the addition of a mega-nav to enable anyone searching to easily find information. The site was also built with a large security based database that restricted the access of certain information to over 15 different groups. This access was allocated through Silverstripe's security settings which controlled over 527 different members. The end result is a highly visual site that is easily expandable and gives the client full editability and access to all components of the site.